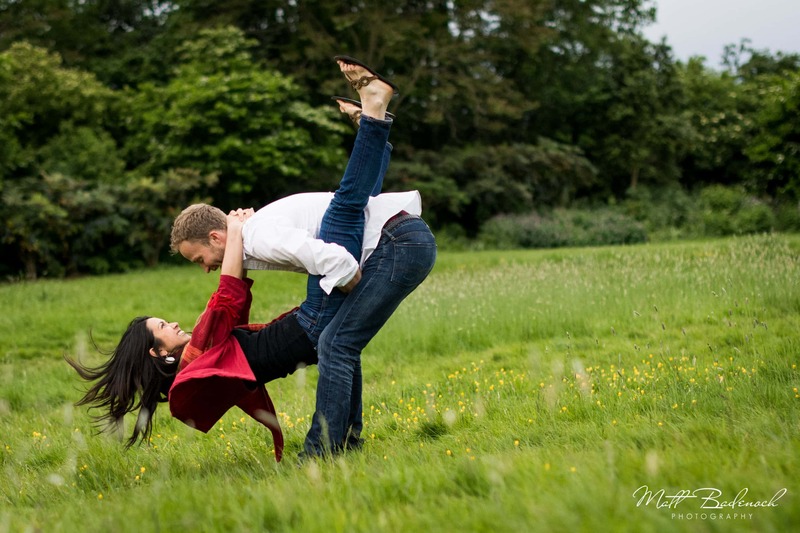 Last week I enjoyed a super fun London engagement shoot with the energy filled Naomi and John. I’m not understating the energy bit. John (showing off his athletic prowess) was constantly lifting Naomi up, spinning her around or carrying her on his back. And this was when they weren’t jumping off logs or Naomi falling over with foot cramp. By the end of our two hours together I was laughed out. 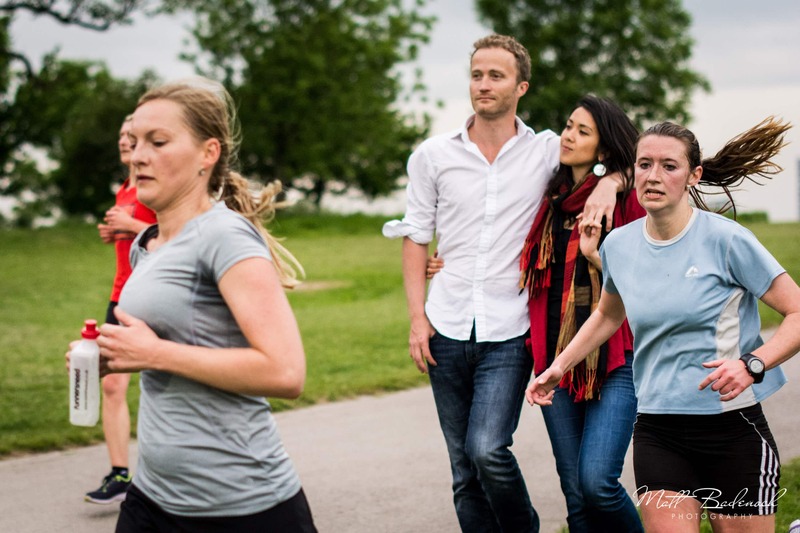 Some of you may remember that Naomi and John were winners of the engagement shoot competition I ran for my new website a couple of months back. Delighted they won. We kicked things off just north of Camden around Chalk Farm. Quite a nice peaceful part of North London that I hadn’t experienced before. 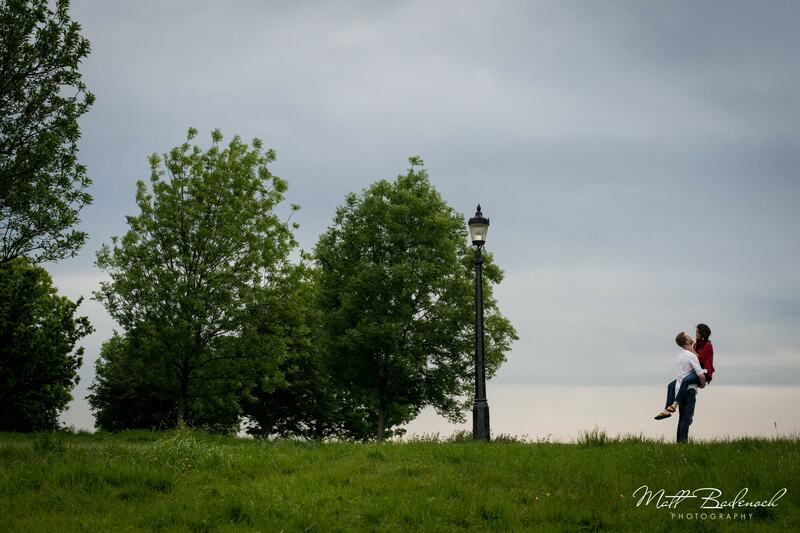 After a stole through some streets featuring the classic London phone and post boxes we arrived at Primrose Hill. For those of you, like me, who’s geography of London isn’t great, Primrose Hill is located just North of Regents Park. Filled with cyclists, people chilling in the grass and runners. The latter led to a great photobomb moment. Just below the park we jumped onto the canal that works it’s way back to Camden. 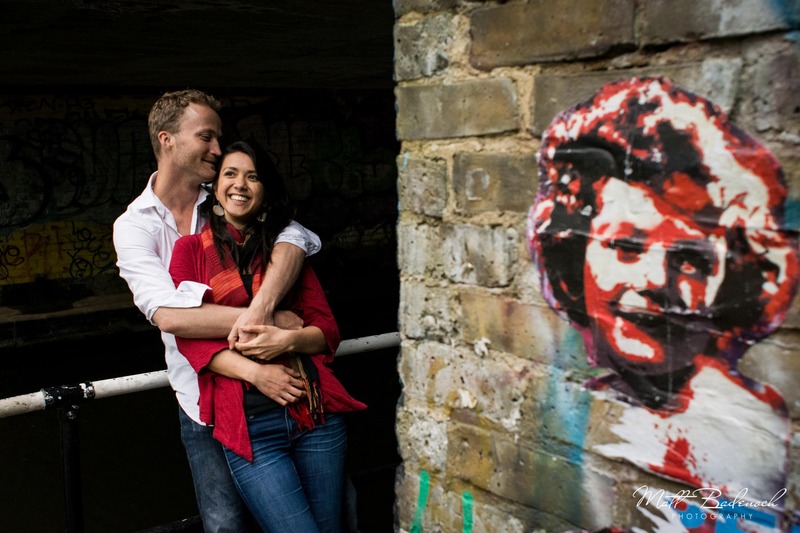 Some might think the Camden canal an odd location for engagement photos but it actually offers some amazing opportunities to have fun and be creative. From interesting light under bridges to cool and unique graffiti. There may have been some interesting smells…but these were soon forgotten. 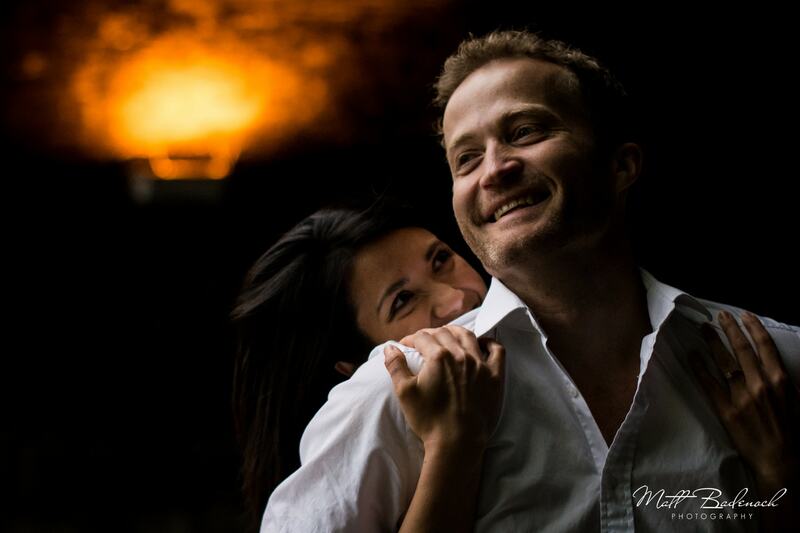 Best wishes to Naomi and John in their future adventures together! No doubt they’re going to be Epic! This week I’ve been lucky to experience a couple more fun London engagement shoots with awesome couples which I look forward to sharing soon. 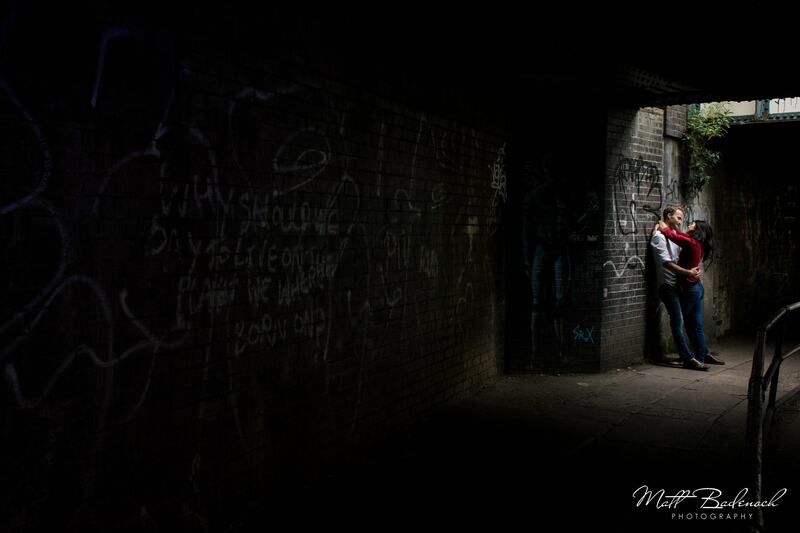 Couple photo next to graffiti along Camden Lock.